If you give a bottle of wine as a gift this holiday season, why not slip that Merlot or Pinot Grigio into this cute knit Wine Monkey, a witty variation of the sock monkey. For the peanut butter lover in your life: Made out of the Eliot neighborhood in Portland, Ore., these nut butters are more than just your traditional spreads. Get a sampling of the grown-up line with this gift pack, which features Spicy Thai, Honey Chipotle and Garam Masala flavors. This will turn you into a beer connoisseur in no time. Complete with ingredients, origins and tasting notes, you'll get more than just a fun beer guide out of this—you'll get a history lesson. 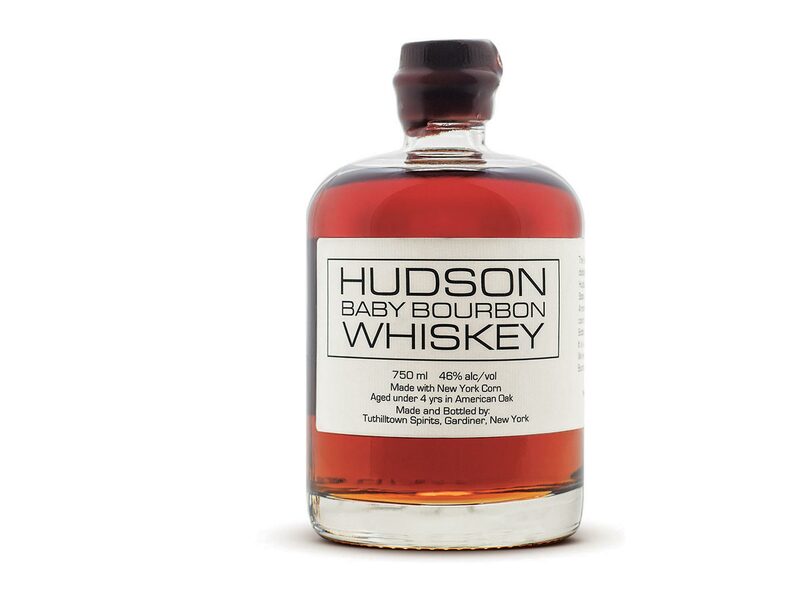 Hudson’s Baby Bourbon Whiskey hits all the right notes. Smooth with a touch of sweetness and hints of vanilla and caramel, make sure your loved ones have a bottle of this to reach for during the cold winter months. The Instant Pot is sure to be a hot gift this holiday season. Ditch the slow cooker and use this multi-talented device, which can do the job of a slow cooker, electric pressure cooker, rice cooker, steamer, yogurt maker, sauté/browning pan and warming pot. One appliance, seven different jobs, all for less than $100. The iconic Weber grill is back, just in time for the holidays. Every grill-master in your life can cook up an an epic holiday meal on a classic charcoal cooker. Bring the taste of Iceland home with a bottle of vodka from Reyka. As smooth as some of the most premium bottles of vodka at half the price, make Reyka the choice for the spirits connoisseur on your list. Beef brisket is the king of BBQ and no one does it better than Snow’s BBQ. Rated as the No. 1 BBQ joint by Texas Monthly, you won’t find a more juicy and flavorful smoked brisket in the world. Properly cooking meat is all about getting the temperature right. Make sure you never overcook a steak again with the world’s first wireless meat thermometer that can send you an alert right on your phone when your meat is at the perfect temperature. Want to make that cheese lover in your life lose their mind with excitement (and potentially gain 10 pounds?) Get them the Cheese of the Month Club from Murray's Cheese. Has there ever been a better Secret Santa gift than a literal tower of snacks? This three-tiered gift box offers the sweet and the savory: chocolate covered pretzels, peanut brittle, chocolate wafer petites and almond nougats are all packed in there, giving the happy recipient plenty of options. Let’s be honest, there’s nothing better than a nice Cabernet Sauvignon to pair with your meal. Get one of Napa Valley’s finest with a bottle of wine from Silver Oak. Take your love of craft beer to the next level with the Picobrew Pico C. Get freshly brewed beer right at home from grain to glass in as little as seven days. Love that smoky flavor but don’t have a grill at home? Breville’s Smoking Gun allows you to add a touch of smoke flavor to your food to help elevate the flavor in your food. But it doesn’t stop there—unleash your inner mixologist and use it with cocktails, too. Great for a home-cooked meal or to bring to a party, make sure you have this in your kitchen. Give a gift that will have your recipient thinking of you every morning. The Nespresso VertuoPlus brews both coffee and authentic espresso and the machine comes with the Aeroccino3 milk frother, so cappuccinos, lattes and macchiatos can all be on the menu. Plus, the water tank is adjustable so it’s a great machine for small spaces or kitchens. Turn your apartment into your own hip craft brewery for your next party. This kit, made by the Brooklyn Brew Shop, includes instructions, equipment and ingredients to create one gallon of homemade beer. You can choose your preferred beer type (Everyday IPA, Summer Wheat or Bruxelles Blonde) when purchasing. It'll really make you feel like you accomplished something. This gift will not only make the recipient an expert host, but also a magician: the Coravin Model Two Wine System allows you to pour a bottle of wine by the glass without pulling the cork. It works by inserting a thin needle into the cork so you can fill a glass without oxidizing the full bottle. Cheers to that! Everybody needs a trustworthy appliance in the house and the Blendtec Classic 575 Blender is one you can count on. With 10 different speeds and preprogrammed settings, the blender can make everything from sauces and smoothies to ice cream and whole juices. Plus, it comes in six different colors! Cookie jars are great. Do you what makes them better? When they are ceramic llama cookie jars. This cute little guy is colorful and he’ll help keep your baked goods fresh. This kit has everything needed to mix up a spicy pitcher of Bloody Mary’s, including classic seasoning, chipotle sauce, extra hot horseradish and Tabasco sauce, plus water crackers and Feridies 5 O'Clock Crunch Snack Mix to wash it all down with. As a bonus, the set also includes a bamboo cutting board, making it both a memorable and useful gift. The team from NYC's reknowned Quality Branded group certainly knows a thing or two about steak knives. These serrated, stainless steel blades come with zebra-wood handles and resemble that classic French-Laguiole look, and they can cut through even the toughest cuts of meat like butter.